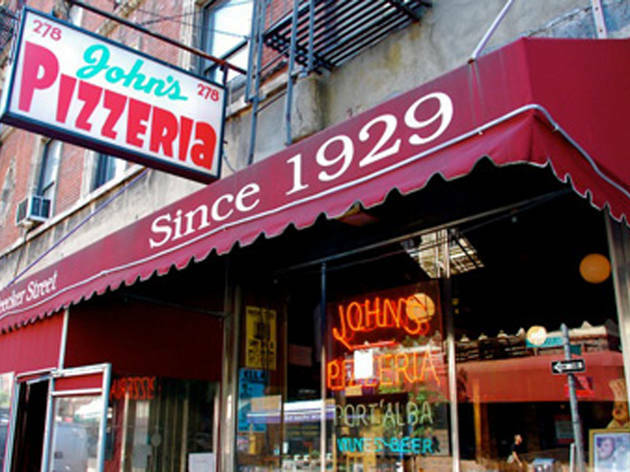 Just a few blocks north of Joe’s is John’s, which has been serving excellent thin-crust, coal-oven baked pies (no slices) since 1929. 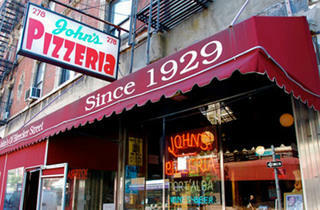 John’s is great, totally no thrills but you get good honest pizza in a west village institution.The secret is well and truly out about this place though so expect a small line whenever you go!It is well worth it though, its cheap, cash only and a solid option for NY pizza! I've been eating here for 35 years and still crave the coal fired crust. Best pizza still. John's is fantastic. Bring cash though, they really don't take credit cards. Great pie, great price.